Its lighter, faster and dripping with every acronym-souped technology you can think of. Lighter weight, new engine, and updated looks feature prominently in the Honda Gold Wing rolled out in 2018. Looking to appeal to a younger buyer, the factory brought performance back to the top of the list of priorities for its flagship tourer, as well. The all-new engine comes in the typical flat-six configuration and 1,833 cc displacement with 120+ ponies just waiting to be called upon. What else has Honda done to try to make the ’Wing something other than “my grandfather’s bike” to the younger buyers? Continue reading for my review of the Honda Gold Wing and Honda Gold Wing Tour. Honda revealed its original GL 1000 “Gold Wing” in 1974 to compete directly with Harley-Davidson for a slice of the American tour-bike market, but it was a tourer in name only. 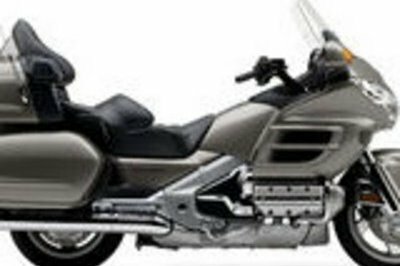 More of a big cruiser by American standards, the fairingless, bagless Gold Wing found a toehold on U.S. shores, and Honda went to work perfecting its new platform. The GL1100 Interstate, released in 1980, was really the first proper tour-bike version of the Gold Wing with a full fairing, windshield and baggage — features that catapulted the GL series to the top of the U.S. import-tour market. Honda carries that style all the way through to 2017 with its GL1800 Gold Wing, and the less-tourtastic, but definitely boulevard bruiser-esque, Gold Wing F6B and F6B Deluxe from 2016. The popularity of Gold Wings is undeniable, evidenced by its legions of loyal fans, so join me as I take a look at what Honda has in store for U.S. shores this year. Continue reading for my review of the Honda Gold Wing, Gold Wing F6B and Gold Wing F6B Deluxe. 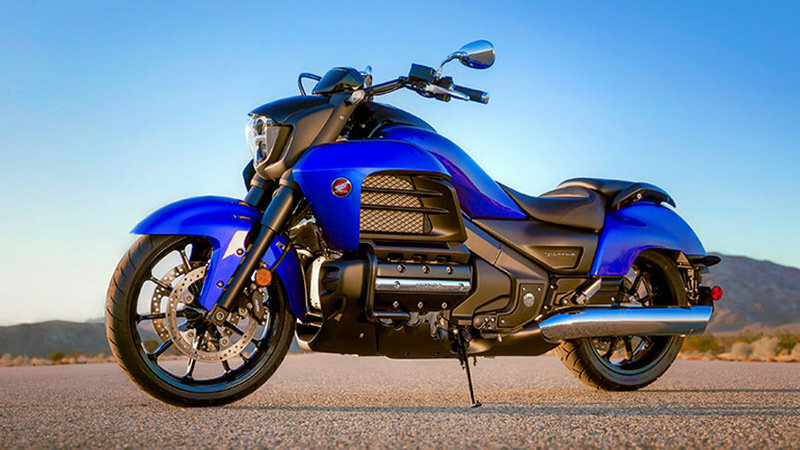 The 2014 Honda Gold Wing Valkyrie is a modern cruiser that has all it needs to be considered one of the best models in its class. Its sporty fenders, the unique fuel tank design, the fat exhaust pipes and the stylish fairing are all working together to form a very special visual effect. Perhaps it goes without saying that once on board, you’ll get a fairly relaxed riding position and great ergonomics. The motorcycle is propelled by an 1832cc, liquid-cooled, horizontally opposed six-cylinder, SOHC engine with PGM-FI. The engine transfers its power to the rear wheel through a five speed transmission and is fueled by a 6.1 gallons fuel tank. To enhance the motorcycle’s performances, the Valkyrie’s engine is mounted low into the aluminum twin-spar frame, thus keeping the center of gravity to as low as possible. 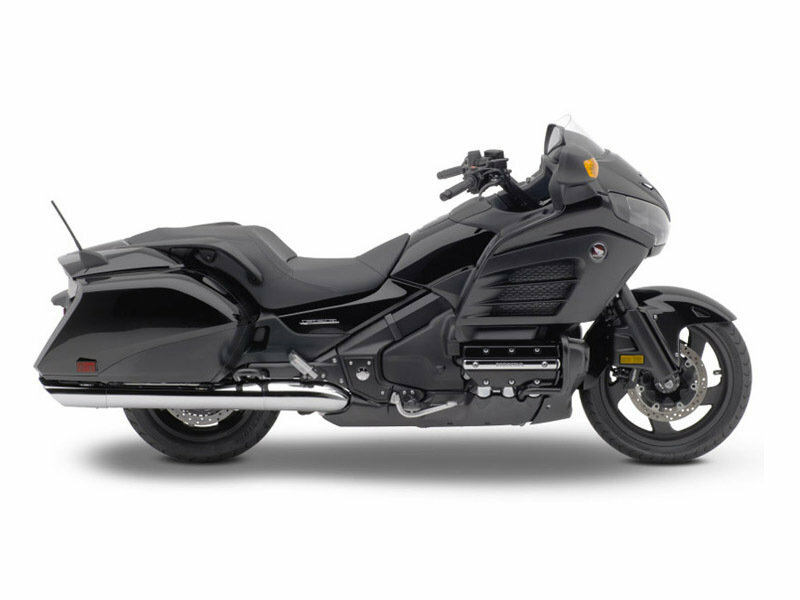 Hit the jump for more information on the 2014 Honda Gold Wing Valkyrie. If you want a versatile motorcycle that feels comfortable around-town and during short occasional journeys then you certainly should take a closer look at the 2014 Honda Gold Wing F6B. The motorcycle comes with a pretty interesting style featuring a massive faring, a low windshield and a sleek fuselage. Needles to say that you also get a comprehensive list of comfort features which include an advanced audio system with surround sound, heated grips, a passenger backrest, and self-cancelling turn signals. As far as power is concerned, the Honda Gold Wing F6B is propelled by an 1832 cc, SOHC, liquid-cooled horizontally opposed six-cylinder engine with PGM-FI. The unit is paired with a five speed transmission which offers a fuel consumption of 34 MPG. As far as prices are concerned, the Honda Gold Wing F6B can be yours for no less than $19,999. Hit the jump for more information on the Honda Gold Wing F6B. 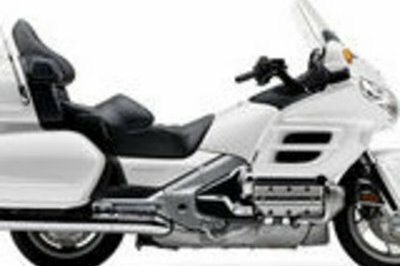 The Honda Gold Wing Audio Comfort offers a comprehensive list of features designed to make your ride as enjoyable and comfortable as possible. Boosting an ergonomic design, and a strong 1832cc Liquid-Cooled, PGM-FI horizontally opposed six-cylinder engine the Gold Wing is ready to follow you in any adventure. 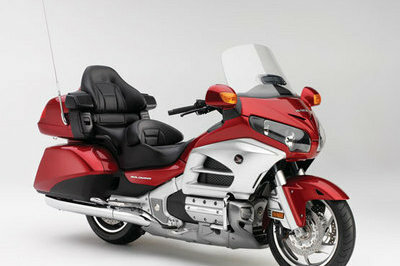 As far as efficiency is concerned the Honda Gold Wing Audio Comfort scores a fuel consumption of 35 MPG. To make its motorcycle even more appealing to the public, Honda has updated the audio and navigation systems, and added integrated iPod connectivity and the ability to upload trips to the navi system from your home computer. You also get a set of new paint schemes for 2013 which include the Ultra Blue Metallic, Candy Red, Grey Metallic, and Light Silver Metallic. 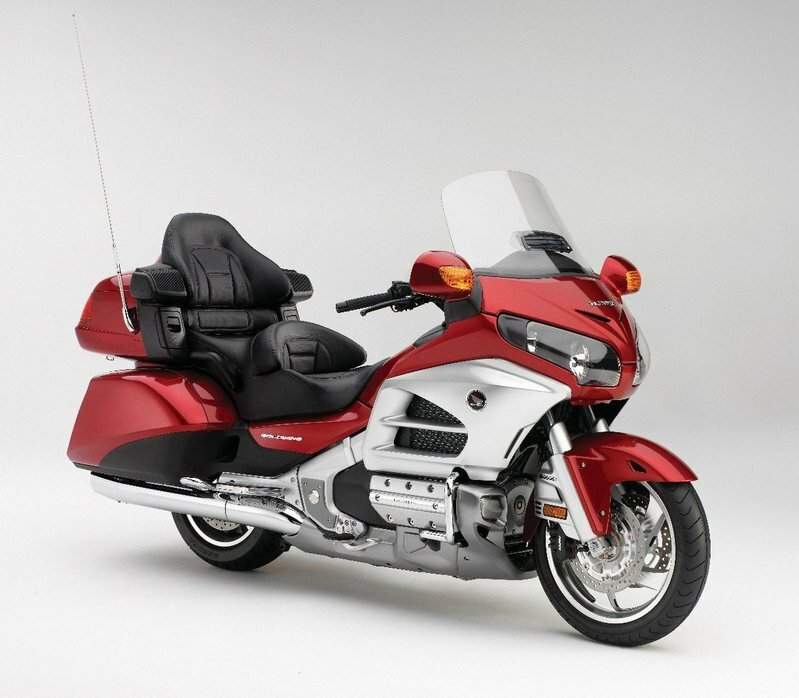 The Honda Gold Wing Audio Comfort is offered with a starting price of $23,990 USD. Hit the jump for more information on the Honda Gold Wing Audio Comfort. If you are searching for a comfortable and reliable tourer, then you should take a closer look at the Honda GL 1800AD Gold Wing Airbag. This capable motorcycle is packed with a long list of comfort and safety features that were especially designed to give you a relaxed ride. As far as power is concerned, the Honda GL 1800AD Gold Wing Airbag is equipped with a liquid-cooled horizontally opposed six engine with a displacement of 1,832 cc. For better overall performances the engine features a modern PGM-FI electronic fuel injection system and is paired with a five speed transmission. The engine is mounted on a multi-box-section aluminum dual-spar frame which links the front 45 mm fork with a Pro-Arm single-sided cast aluminum swingarm. One of the most notable features offered by the motorcycle is its industry-first fully integrated rider airbag. The Honda GL 1800AD Gold Wing Airbag is offered with a starting price of $29,999. Hit the jump for more information on the Honda GL 1800AD Gold Wing Airbag. The 2013 Honda GL 1800 Gold Wing is a modern cruiser designed for long distance riding. At the heart of the Honda GL 1800AL Gold Wing sits a 1,832 cc, six-cylinder, Liquid-cooled, horizontally opposed six engine with PGM-FI electronic fuel injection. The engine is mated on a five-speed transmission including overdrive, plus electric reverse. The motorcycle’s speed is kept under control by Honda’s Dual-Combined Braking System that features a second master cylinder and a three-stage proportional control valve (PCV) to couple the three-piston calipers of the dual front and single rear brake discs. Needless to say, that you also get a modern Anti-lock Braking System (ABS) which enhances your safety even when you need to deal with slippery surfaces. The Honda GL 1800AL Gold Wing is offered with a starting price of $28,499 and comes with a 3 year, unlimited mileage, freely transferable warranty. Hit the jump for more information on the Honda GL 1800AL Gold Wing. How do you turn a bike that’s already considered the world’s best touring motorcycle into something even better? You can go to Honda and ask them what they were able to do with the 2012 Gold Wing. The Japanese motorcycle brand has something special for the 2012 Gold Wing, starting with new bodywork that further complements what is the best engine and chassis package the touring world has in the market today. They were also able to put in a new audio system, an updated navigation system, and all-new functionality. 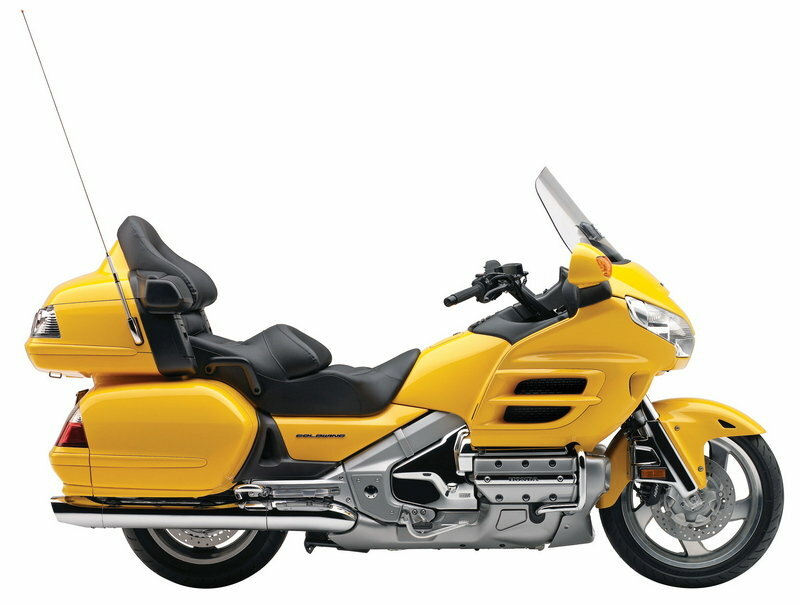 Really, are there even any more questions as to what touring bike can match wits with the Gold Wing? 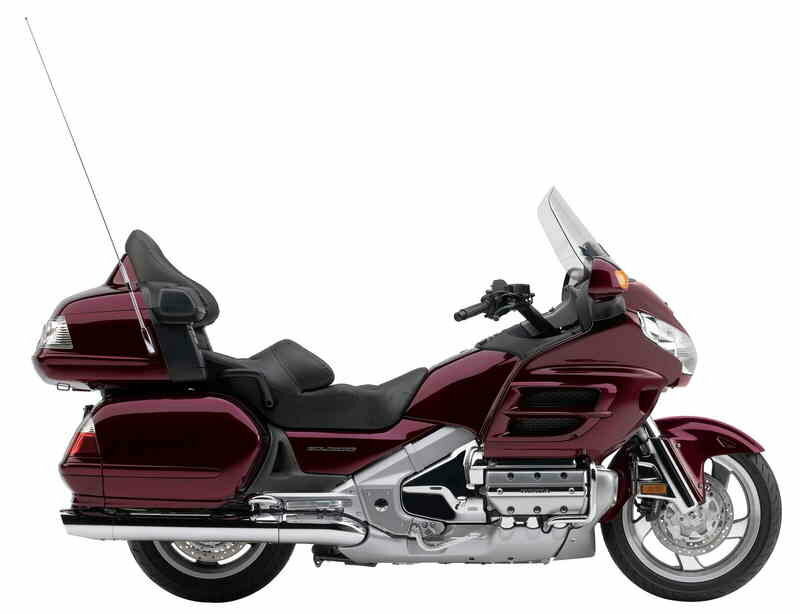 We hardly think that you can find a touring bike that offers such a comprehensive package, so with the 2012 Gold Wing, there’s really no reason to look for anything more. It has long been acknowledged as the pinnacle of two-up motorcycling, and the 2012 model more than lives up to the high standards of its predecessors. 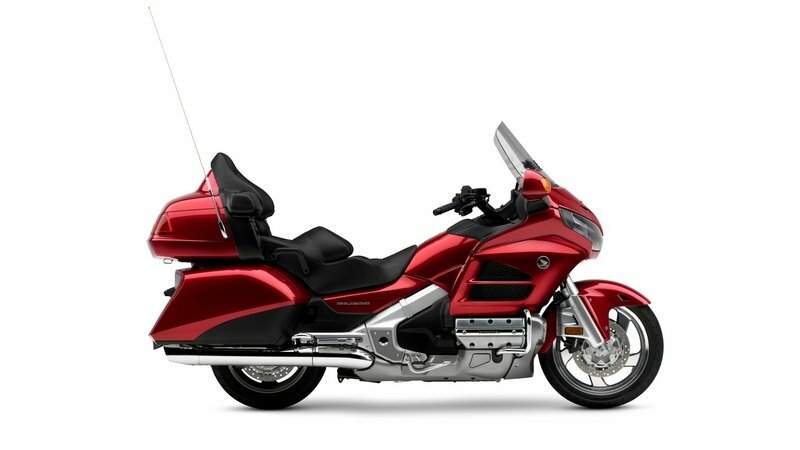 Find out more about the 2012 Honda Gold Wing after the jump. Regarded across the board as the pinnacle of two-up motorcycling, the 2012 Honda Gold Wing is straight-up one of the premier tourers on the market today. 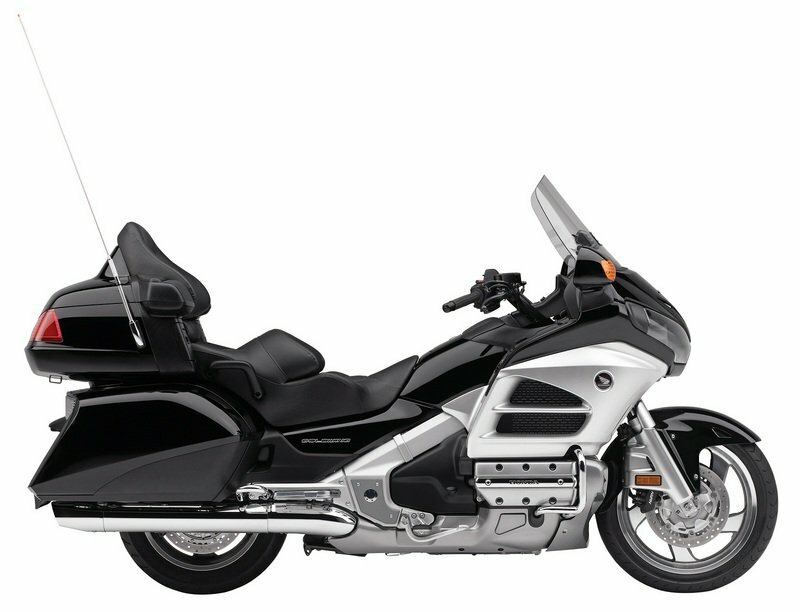 The Gold Wing offers the perfect mix of power, performance, handling, and touring comfort with travel-oriented credentials that make it one of the most beloved companions in long-distance joy rides. The Gold Wing is a renowned bike with a refined drivetrain, delightfully sporty handling and unparalleled comfort for both rider and passenger. 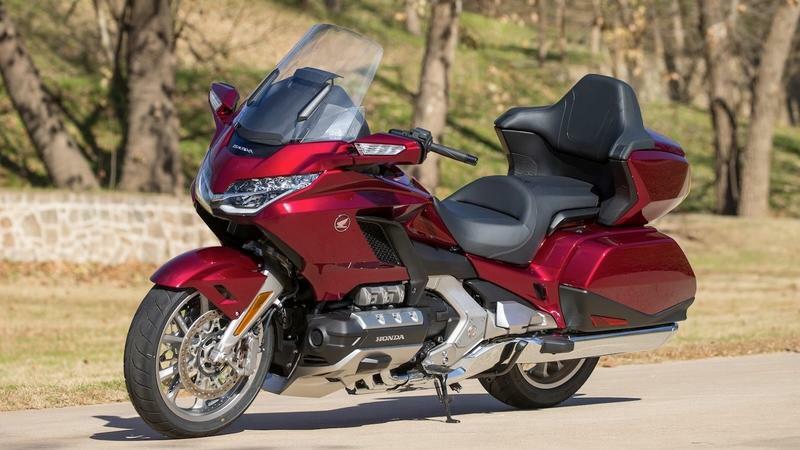 The Gold Wing also brings upgraded styling, increased luggage capacity, greater protection from wind and weather, and revised suspension settings for enhanced ride compliance. 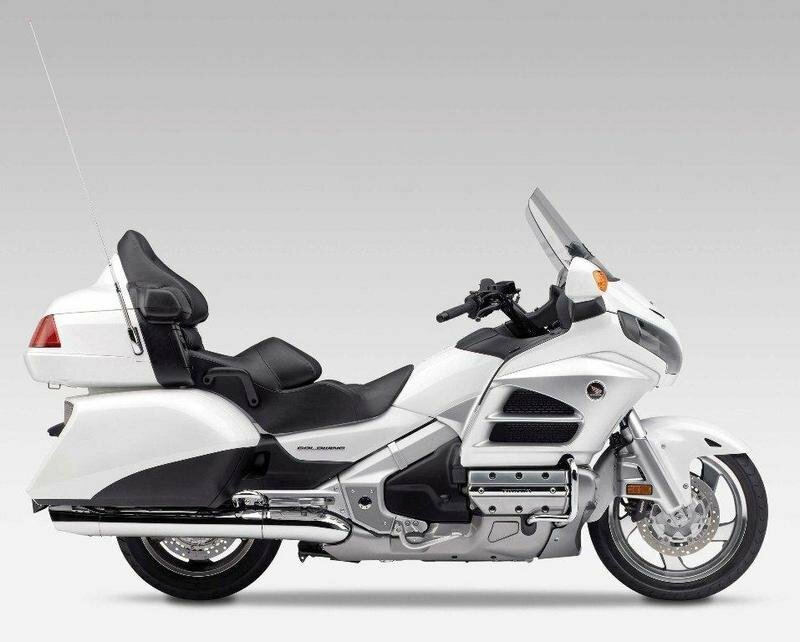 On top it being the classic tourer that we’ve all come to love, the Honda Gold Wing also includes plenty of the latest generation of sophisticated electronic amenities, starting with an innovative user-friendly navigation system with the capability to share favorite ride routes with friends and other riders. The Gold Wing also incorporates a new built-in MP3/iPod interface and an SRS CS Auto technology surround-sound system for a premium listening experience. Find out more about the Honda Gold Wing after the jump. 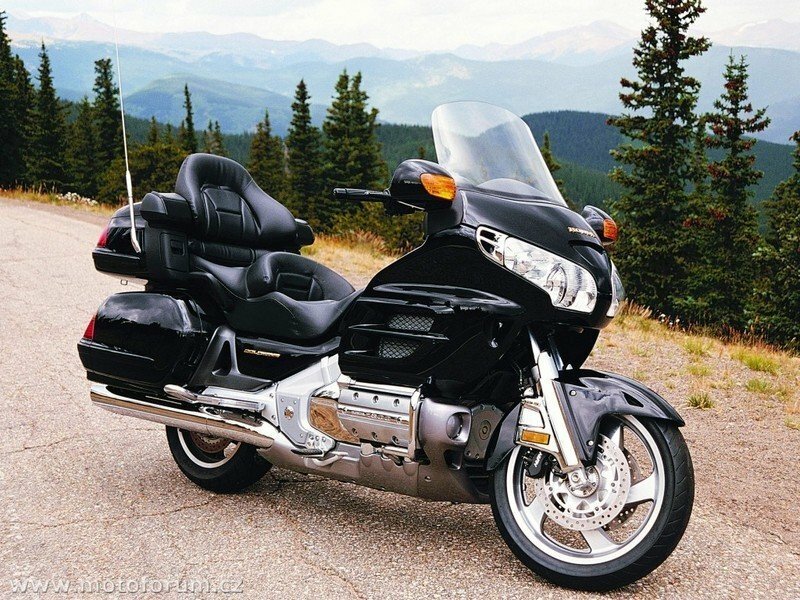 The 2010 Honda Gold Wing comes more like a disappointment rather than the interesting new entry that the public had been expecting simply because the world’s ultimate touring motorcycle features no new technical innovation or design change that is characteristic to the class it proudly dominates and to it only. While remaining as reliable, comfortable and powerful as the previous generation model, the 2010 model year is a bit safer and the new color schemes still manage to make the bike stand out despite its old-fashioned look. Honda spoils future owners of the 2009 Gold Wing with the addition of XM Radio featuring traffic and weather reporting capabilities, plus an automatic tire pressure monitoring system proving once again that finding new solutions for the customers needs is THE way to stay strong in this business. Luxury touring. The powerful 1832cc flat-six Gold Wing has always defined this class. 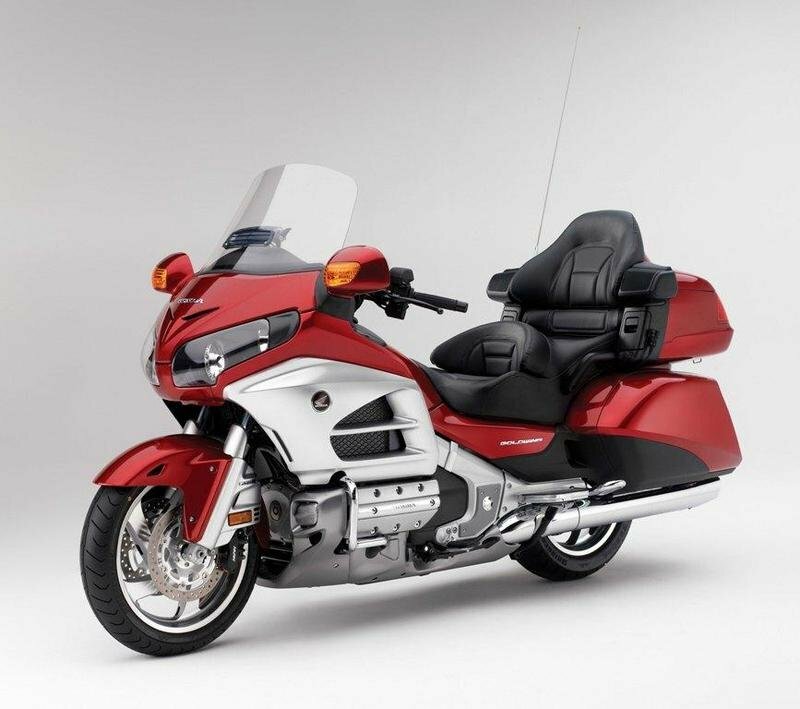 And new for 2006, the Gold Wing Premium Audio, Comfort Package, Navi & ABS model features anti-lock brakes, the Honda Satellite-Linked Navigationâ„¢ and other exclusive features. It’s in a class of its own. The 2007 Honda Gold Wing elevates luxury motorcycling to a higher plane with the advent of satellite navigation, 80-watt-per-channel premium audio, a cold-weather comfort package and an industry-first fully integrated rider airbag available on the full-featured version. Luxury touring. The powerful 1832cc flat-six Gold Wing has always defined this class. And new for 2006, the Gold Wing Premium Audio, Comfort Package & Navi features a fully integrated, flash-card based Honda Satellite-Linked Navigationâ„¢. Available only on the 2006 Gold Wing. It’s in a class of its own. Luxury touring. The powerful 1832cc flat-six Gold Wing has always defined this class. The Gold Wing Premium Audio & Cold-weather Comfort model features the heated grips, heated seats and adjustable warm-air vents. And the new Premium Audio package keeps your ears comfy, too. It’s in a class of its own. Luxury touring. The powerful 1832cc flat-six Gold Wing has always defined this class. And new for 2006, the Gold Wing Premium Audio model features six speaker elements and an 80-watts per channel external amplifier. You can even add an optional six-disc CD player. It’s in a class of its own.